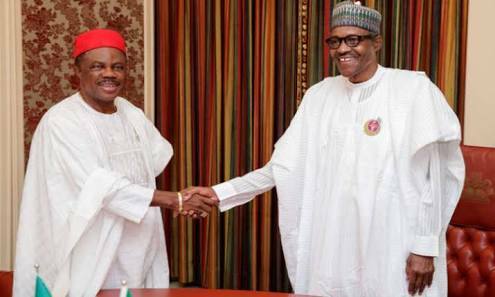 A faction of the All Progressive Grand Alliance(APGA) has emerged in Abuja with a call on the Anambra State Governor, Willie Obiano, to resign for single-handedly endorsing President Muhhamadu Buhari for the 2019 elections. The governor had in a video, which went viral, reportedly endorsed Buhari during the public presentation of a book to commemorate the 80th birthday of a former governor of Akwa Ibom State, Obong Victor Attah, despite having Gen. John Gbor (retd). as APGA's presidential candidate for the 2019 presidential poll.